The Faculty 05 - Philosophy and Philology wishes all exchange students an enjoyable and successful time in Mainz. 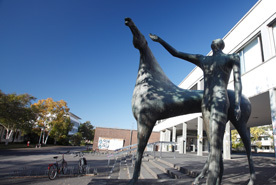 We have collected a few tips to make the first days at the University of Mainz a little easier. If you want to spend a semester or a year at the Johannes Gutenberg University in Mainz, you need to be officially enrolled first. The International Admission Office can provide you with information on how to apply as an exchange student. 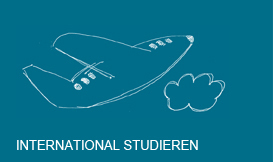 Further relevant information on studying in Mainz is available from the International Office. 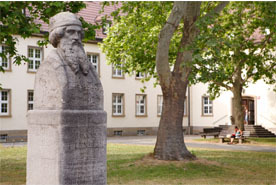 All courses offered at the Johannes Gutenberg University in Mainz are listed in the online portal Jogustine. The courses for the winter semester are published in June, the courses for the summer semester are published in January. This means that you can choose courses you are interested in while you are still at home. Each university department has international and ERASMUS coordinators who are the points of contact for universities around the world. The Faculty 05 international coordinators will answer any potential questions you have about their specific subject/department. We have compiled a collection of links for the various contact persons further down on this page. It is very important to participate in the Info Days that take place right before the beginning of each Semester (October for the winter semester and April for the summer semester). 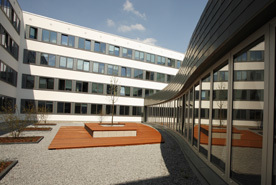 Information on studying at the Faculty 05 as well as general information about the Philosophicum can be found in the navigation bar on the left. After the Info Days, you can always contact the Students Service Center with questions about enrolment. General information on studying at the Faculty 05 has been compiled here. If you would like to be assigned a personal contact person for the entire semester, to answer questions about organization and degree programs and courses, all you need to do is come to the inForm tutorial! The international coordinators can help you choose the right courses during their office hours. It is always a good idea to look for information yourself as well, and to bring timetable ideas with you to the meeting. Click here for information on how to search for courses and create a timetable.